Neil and I flew to NYC on Thursday morning for a four day excursion. We arrived and headed to the East Village to our home for the weekend, an apartment we rented via Airbnb, the apartment was in a great location and although it was tiny we had a great stay. We picked up our keys, dropped off our bags and headed out to find lunch (we were starving at this point). We debated a few places and ultimately decided to Taïm a vegetarian falafel spot that I have had on my list of “must visits” for years now. After perusing the menu Neil and I would have loved to order (almost) everying on the menu however we made the difficult decision and both decided to go with the Falafel Sandwich on whole wheat pita. I chose to go with the traditional green falafel and Neil went with the harissa falafel. 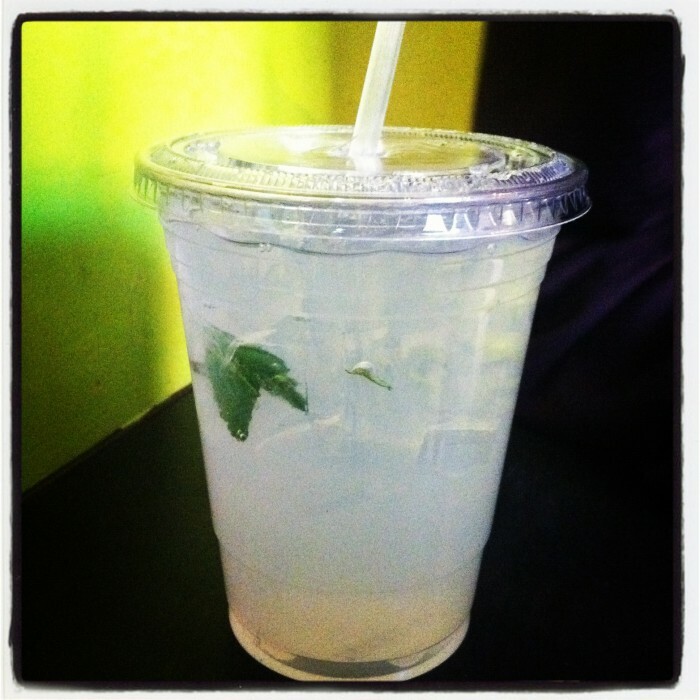 To go with our falafel we shared a mint lemonade which was so tasty and even had a fresh mint leaf in it. Since Taïm is a tiny spot that has a few bar spots we decided to take our sandwiches to go and found a nice little park bench to sit on and enjoy our falafel. Now on to what you really want to know- how did they taste? They were AMAZING! 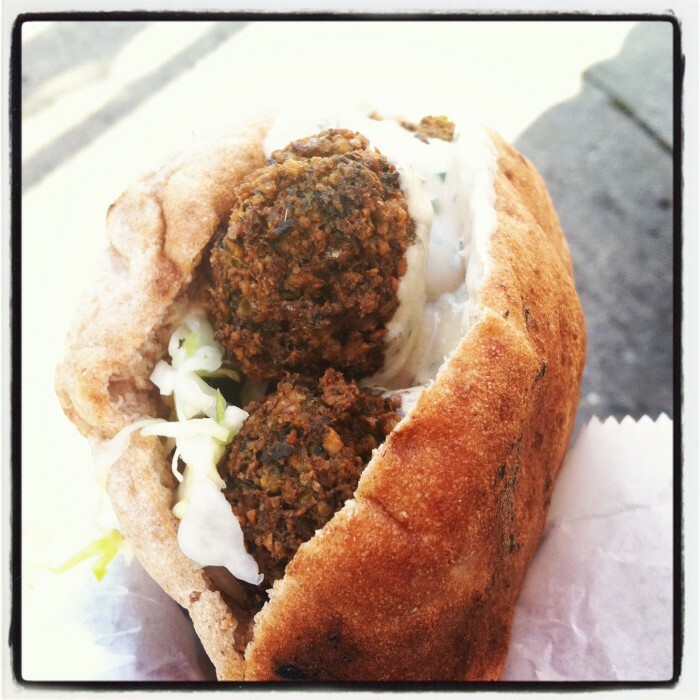 Hands down best falafel sandwich I have ever had and I’ve had a lot of falafel. There was a wonderful balance of flavors and textures and the tahini sauce was to die for. Another thing that I loved about the sandwich was that they put two balls of falafel at the bottom and three on top, this is great because when you get to the bottom you still have tasty falafel to enjoy. 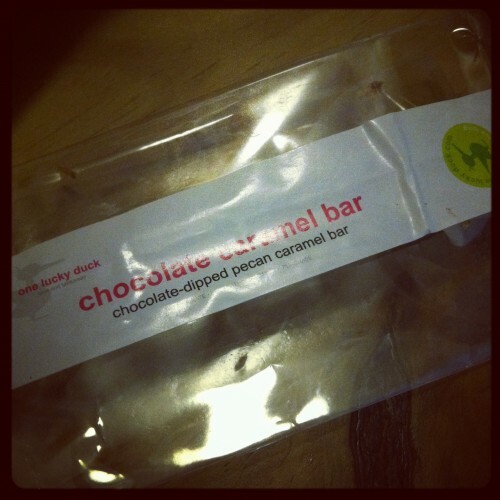 After filling up on falafel we walked over to Chelsea Market to do a little window shopping and grab a treat from One Lucky Duck. 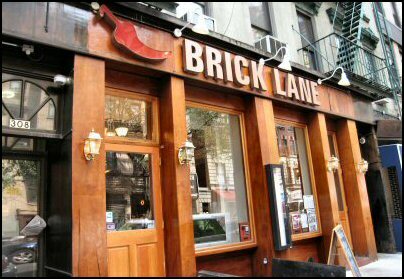 After our short visit to Chelsea Market we met up with my BFF for a drink and spent a few hours socializing before making our way to Brick Lane Curry House for dinner. At first glance there are only 3 labeled vegan options on the menu but once seated we spoke with a server and they informed us of the many curry options that were vegan as well as the tandoori roti. We ordered the tandoori roti, chana masala, and a vegetable curry dish which came with basmati rice. Everything was absolutely delicious! I didn’t take any photos because it was so dimly lit that my photos would have been awful. It is hard to find Indian food in Vermont and it is always a treat to find a really great Indian restaurant when on vacation. We ended our night early and decided to just relax at the apartment where I promptly fell asleep by 9pm. Stay tuned for parts 2, 3 and 4. What are you favorite places to eat in NYC? I haven’t been back to NYC since transitioning to a plant-based diet, I can’t wait to go back. It seems like NYC is a mecca for vegan eats, so many choices. That falafel looks delicious! Love your recap thus far! 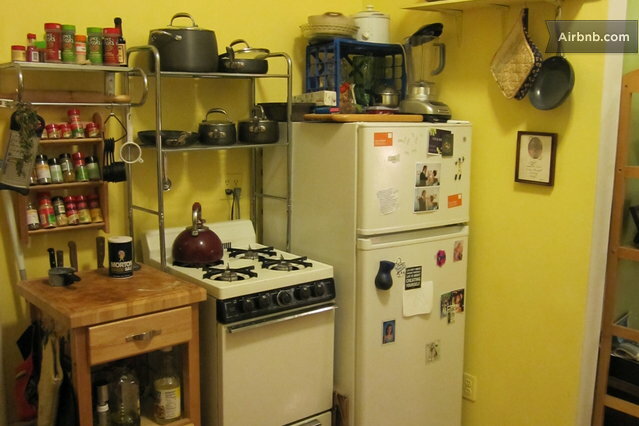 I think it’s so awesome that you found an apartment for the weekend on Airbnb. Such a cool idea! That falafel truly does look amazing, as does the mint lemonade. I love drinks with fresh mint in them! Looking forward to seeing the next installment!